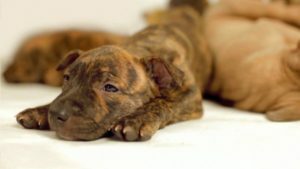 Pit bulls are a breed that has sparked controversy but, like many issues, there are two sides to every story. First and foremost, people must understand the difference between nature and nurture. “Nature” refers to an animal’s innate way of behaving without any interference from an outside source. “Nurture” consists of any interference injected into the animal’s psyche that makes them alter their normal tendencies. Based on the influences or conditions creating the nurture, you can promote harmony, or incite hostile tendencies. Here are some traits of pit bulls that attest that it is not the breed that is the problem, but the people that use these dogs as tools to inflict harm, espouse greed, and cause fear. 1. Friendly: Pit bulls are truly friendly dogs, exhibiting the same gentle temperament as that of the beloved Golden Retriever. 2. 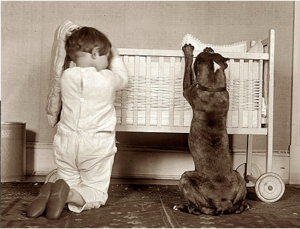 Pack Animals: Pit bulls love their family. When part of a loving home, they are often known as “nanny dogs” because of their caring nurture. 3. Intelligent: Pit bulls are easily trained and highly intelligent dogs. They behave well on leashes and can be taught an array of complicated tasks and tricks. 4. Clean: Their short coats remain tidy and require minimal grooming. An additional bonus is that they don’t shed much either. 6. Long living: Pit bulls are built hardy and have a longer life span than many other mid-sized dogs. 7. Puppies for life: Their youthful spirit is one that lights up any room. Pit bulls are truly compassionate and blissful souls. 8. Expressive Mugs: The faces these dogs make are truly hilarious! They are sensitive to their owners’ emotions and tendencies and will mirror them. It has been said that Pit bulls love their owners more than they love themselves. The nature of these dogs is the direct opposite of what the world portrays. With all these traits, it is easy to see how this breed can be manipulated for unnatural and evil purposes. But it is the people these dogs try so hard to please, and who force them to do unspeakable acts, that are at fault, not the dogs. Pit bulls would much rather curl up on the couch with their owner, play fetch, go for a swim, and give sloppy kisses than fight. It truly is an atrocity that these dynamic, intelligent animals have been exploited. 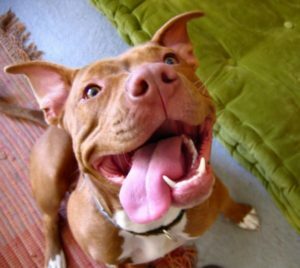 Resist the pit bull stereotype, and help others become aware!